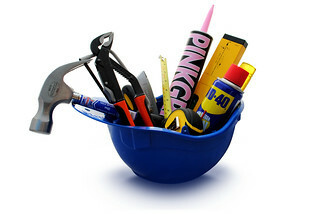 Top Tip: If you are setting up a group, turn off the tools you don’t think you will need. It can be overwhelming for new members. You can switch them on if they are needed later. Most groups only need discussion threads to start with. Profiles are a great way to expand your personal network, foster teamwork and build relationships that span boundaries such as location, department and job functions. They enable users or communities to establish new contacts or identify key people who have specific knowledge or strategic business relationships, both internally and externally. Look in the top right of your screen for your profile. Activity Streams enable you to easily keep on top of what's going on across your site, with real time updates from your connections, groups or channels. You can add an activity widget to the front page of your group so members can see what’s fresh. Take me to the Activity stream. The Groups feature provides a great way for people who share a common interest to collaborate by exchanging and sharing information and documents with one another. It enables users to easily set up public or private groups and get working together around specific topics or interests. You can view by alphabet, size or creation date. Take me to the Groups. Threaded conversations on whatever topics interest your group. Start one of your own or add to someone else’s. Each new post or topic triggers an email to all other group members. Take me to the main discussion page. Upload files, documents and pictures, tag them and let others add their comments. Maintain a blog, share web resources via social bookmarking and promote discussion, whilst retaining control over access to your content. You can create your own photo albums, subscribe to your favourite news services via RSS and search for your favourite videos, on services such as YouTube, then add them to your personal or group gallery. Top Tip: Don’t try and use a social network as a library. Store the content within discussions to add value, or link out to Google docs or another content management platform. Add events so no-one in your group misses an important workshop or meeting. Ask question and take a quick show of hands to vote on a topic. A template for resource development that you can use in your group. Allows subject-specific resources to be categorized. Take me to the Resources. These work like wikis. Create content and invite others to edit and add to it. Uploaded content e.g. documents, photos, video. Tag files and automatically create folders with the same name. Set up pages of content and add a left-hand menu link for instant in-group navigation. Grab the feed and add it to an RSS Reader e.g. Feedly.com. Every new item or post will be conveniently sent to your reader.